Function: The Missouri Minority Business Advocacy Commission identifies and assesses the needs of minority businesses throughout the state; initiates aggressive programs to assist minority businesses in obtaining state and federal procurement; makes recommendations regarding state policies, programs and procedures; and provides a focal point to assist and counsel minority small businesses in their dealing with federal, state and local governments. 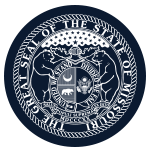 The Missouri Minority Business Advocacy Commission also initiates and encourages minority business education programs; analyzes current legislation and regulations as they affect minority businesses; and receives complaints and recommendations concerning policies and activities of federal, state and local governmental agencies which affect minority small businesses. Compensation: Members receive a per diem of up to $35 for each day devoted to the affairs of the board and reimbursement for realized and necessary expenses.